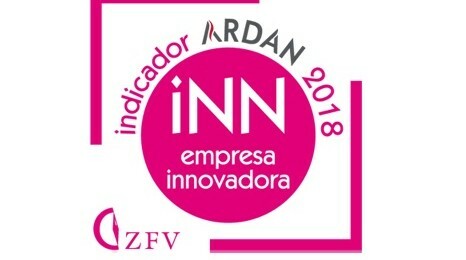 Misturas has obtained the Ardan indicator ‘Innovative Company’, a sign given to those Galician companies that show high levels of innovative performance, measured through indicators such as the effort made in internal R&D, R&D&i training, process technology, work productivity or R&D&I return. The research and development projects carried out by the company in the last year, as well as its innovative performance have been essential to distinguish Misturas with this specific credential, boosted by the Consortium of the Free Trade Zone of Vigo. This entity develops, through the business information system Ardan, a line of indicators that distinguish those companies that lead their activity and outstandingly solve issues related to business management. Misturas is currently working on one R&D&I project: “EMULCELL: Development of new bituminous emulsions using nano-structured cellulose for enhanced and sustainable cold mixed asphalt”. The project is co-financed by the CDTI (Centre for the Development of Industrial Technology), dependent on the Spanish Ministry of Economy and Competitiveness, in collaboration with the Centro Tecnológico de Investigación Multisectorial (CETIM -a private multidisciplinary Technology Centre-), Eurofunding International and the Research Group on Roads, Geotechnics and Materials, through the University of A Coruña Foundation (FUAC).